Most of us woke to the tragic news of the death of Anthony Bourdain. The celebrity chef and host of CNN’s Parts Unknown reportedly took his own life while in France to film a new episode of the upcoming 12th season of his Emmy and Peabody award-winning series. The reaction to the news online has been a mix of shock and sadness for the man who was called the first-ever punk rock chef. CNN has announced that they will be honoring the memory of Bourdain this weekend with a special tribute called Remembering Anthony Bourdain, which will air tonight at 10 p.m. ET. Tomorrow starting at 8 p.m. 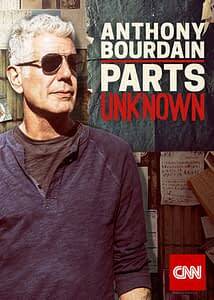 ET they will air “a night of Anthony’s favorite episodes of Parts Unknown.” And on Sunday at 9 p.m. they’ll air the previously scheduled new episode of the series which takes the host to Berlin, but with an added introduction by Anderson Cooper. It will be followed by a repeat of Remembering Anthony Bourdain. Bourdain achieved celebrity status many years spent as executive chef at Brasserie Les Halles, with the released of his book, Kitchen Confidential: Adventures in the Culinary Underbelly in 2000. He would go on to host a handful of different food and travel series, landing at CNN in 2013. He was known for his cooking talents, his storytelling style, and his ability to get people to open up with him on just about any topic.